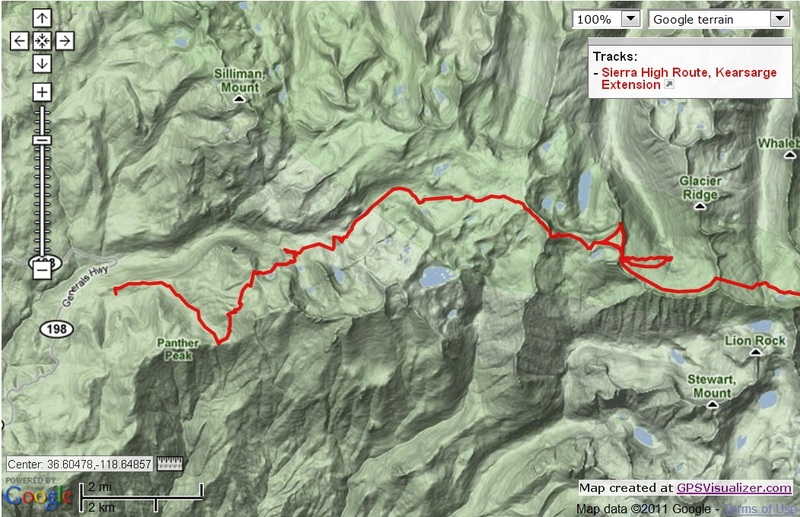 Sierra High Route, Days 5 and 6 – The end! | Meghan Kelly Teles! 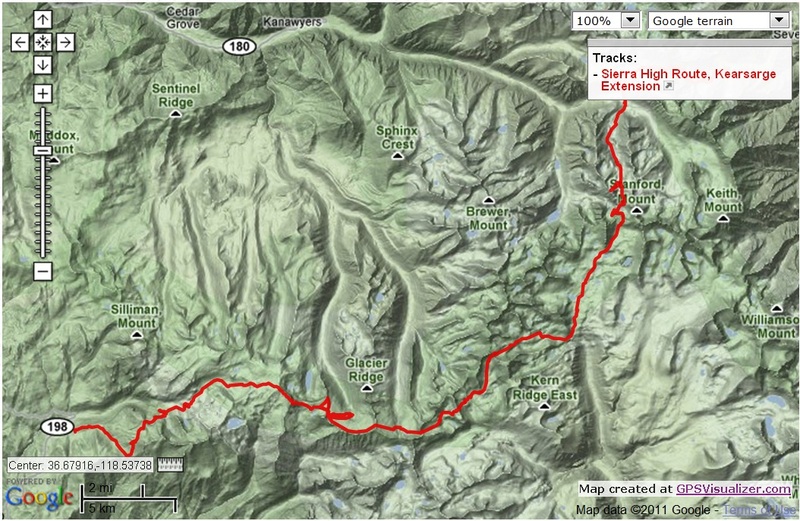 Sierra High Route, Days 5 and 6 – The end! As we sat down to dinner at the end of Day 4 it became clear that the end was near. We could even see city lights in the distance. We discussed the plan for Day 5, because if we wanted to, we could have skied out that day, however, we didn’t want to and as one of the other party’s guides said, “the corn was going off.” So, we decided to leave our tent set up and backtrack to ski down Deadman’s canyon and then back to our camp. Here is a shot of me making some soul turns below the shark fin above Deadman’s. The wide open bowl down to Deadmans. We skied until lunch and then packed up our tent and gear and continued on up to the Tablelands up the snow ramp in this photo. The route involved a somewhat tricky downclimb, but set us up to ski most of the way to our next camp above Pear Lake Hut. 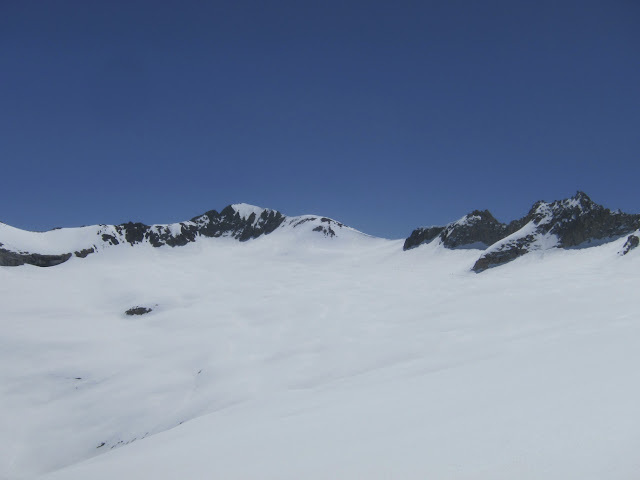 The splitboarders skied there splits a really long way from the top of the tablelands, which was a blast – great corn snow and turning back to watch the splitskiers rip it up kept me entertained… as well as more stunning Sierra scenery. 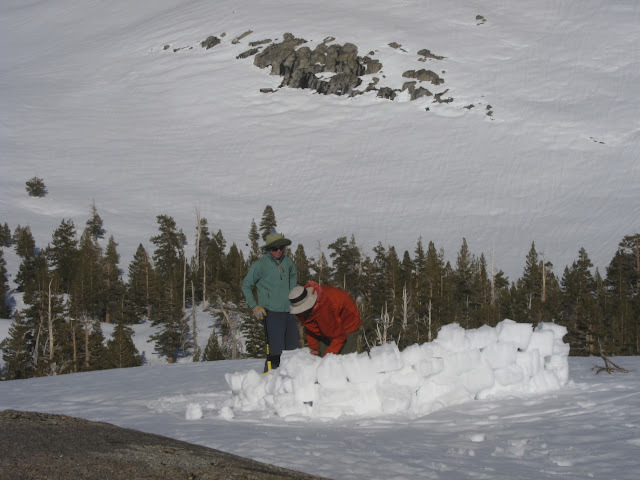 After a nice long, rollicking, ski, we found a camp site on a large rock perched above the Pear Lake Hut. This is definitely the lowest elevations we’ve been at for 5 days. James and I got pretty into pimping out the tent to maximize the space. Here I am directing the work. Final sunset on the High Route. The smog makes it pretty. I don’t have any photos from Day 6, but we basically skied out with very little skinning. This was the first sign of the amazing high pressure weather we had for the last 5 days changing. The winds were howling that night. 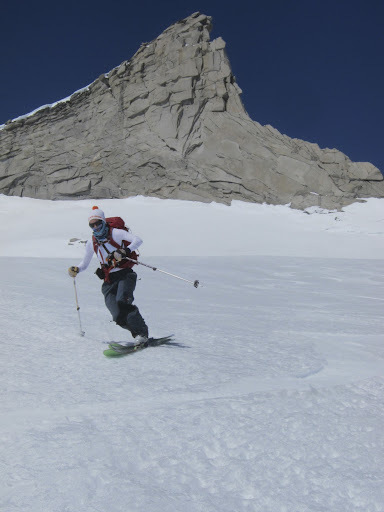 This was also the hardest day to stay with the splitboarders since skis are much better at holding a contour. We made it to the car around noon and it was 65 degrees in Wolverton. We drove through Sequoia National Park and dropped down to Frenso (Fres-YES!) where it was a sweltering 90 degrees! Woah! Temperature and culture shock… but the Chipotle burritos and beers were delicious. We were home to Tahoe that night by 8pm. Here is a map of days 5 and 6. Overall, the trip, the weather, and my trip partners were amazing and I am super grateful.